Below are archived link building webinars I’ve presented, with the most current listed just below, followed by prior webinars and archives. I also create site-specific private webinars for clients by request. In order to watch the recoding of this Live Hangout On Air you must be a paid subscriber to LinkMoses Private. Eric Ward hosts a live private four hour linking Q/A Webinar for LinkMoses Private members this Friday. Members will receive an invitation and be able to anonymously watch the Webinar and ask questions. 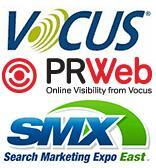 The webinar software supports up to 200 participants. You’ll be able to drop in and out whenever you want throughout the day, as your schedule allows. 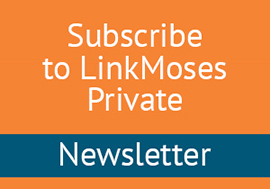 In order to attend you must be a paid subscriber to LinkMoses Private. As Google continues to adjust and improve its algorithm and page scoring metrics, sites that rely on gimmicks and thin content are paying the price. From Panda to Penguin to whatever is coming next, you can be sure Googles goal is the same: To identify content and links that cannot be trusted, and to surface highest quality content for searchers. Many sites need to adjust their content and linking strategies, but arent quite sure which direction to go. After the webcast the archived version should be available here. Presented by Eric Ward, President, ericward.com (bio) This fee based webinar will provide a real life example of exactly how I took a client’s site that did not rank in the top five for their most crucial search phrase, and helped that site attain a #1 ranking within 3 months via merit based link seeking. This webinar will be broadcast live only, with no archive available except to the paid attendees. The five attendees remain anonymous to each other. No attendees know who else is present. * What should a press release look like in 2010?